Why do we get distracted? Is it just boredom and tiredness, or is there something more important behind checking social media, watching funny videos, and reading useless articles instead of working? As Herbert A. Simon said, a wealth of information creates a poverty of attention. Today, when we have every possible distraction, we cannot focus that easily. However, according to scientists, distraction habits have deeper roots than it might seem at first sight. So why is it this hard to concentrate on work and beat distractions? A research was conducted in a group of students which showed that the students only were able to stay on task for an average of three minutes and almost all of the distractions came from their smartphones or laptops. Turning off all these buzzing and flashing notifications seems to be enough, right? However, the interesting fact is, the students recognized that even without sensory reminders they kept wondering internally if someone had commented on their posts or messaged them. They actually didn’t need to get reminded or notified about that. Unsurprisingly, those of the students who checked Facebook at least once during the 15-minute study period showed worse studying results. But, surprisingly, it did not matter how many times they opened it: one time was enough to impair the results. Another study was conducted by Gloria Mark from the University of California. It simulated office work with calls, conversations and other typical workplace distractions, and showed that an average office employee only spends 11 minutes between interruptions, but it takes up to 25 minutes to get back to the original task after being distracted. 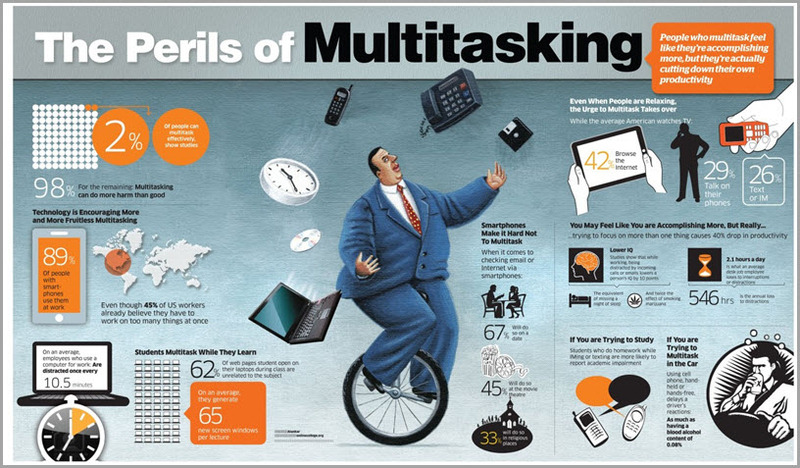 So, no wonder that everyday work turns into constant multitasking. 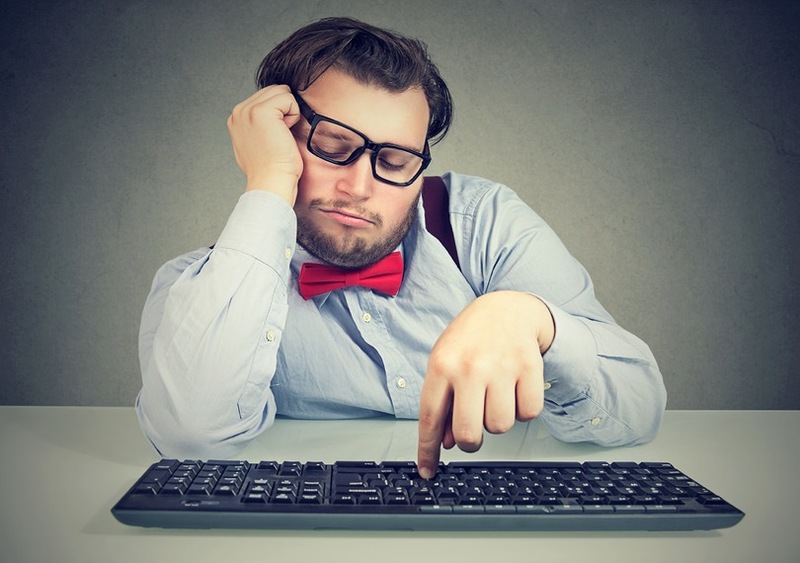 It is a well-known fact that its effect on productivity is extremely negative. A recent research study also shows that constant task juggling depletes brain power: our brain wasn’t designed to handle that much at a time and ends up giving in. The reassuring fact is, according to Gloria Mark’s study, that the brain can adapt to resist interruptions and still handle work tasks in a distracting environment. Those who had been distracted earlier learned from their experience, and marshaled extra cognitive capacities against possible interruptions. When struggling against how to beat distractions, willpower is our most reliable ally. But what if it is not strong enough? Many of us tend to postpone difficult tasks for later and choose to relax right now. Netflix reveals this typical behavior: documentaries and highbrow movies get collected in a “watch it later” (so most likely “never watch”) list, and lowbrow comedies and action flicks keep getting picked for today. It’s not only about movies: the same is true for healthy food, working out, quitting tobacco, or staying focused at the desk. We address our Have-to-dos at the last minute, and as for Want-to-dos, most of us at best would start one of them and quit soon, but most likely we’d never even get around to them. Enjoying leisure time, even if unearned, and avoiding difficulties is tempting, so our willpower succumbs to instant gratification. According to recent studies, attributing this behavior to the depleted willpower seems to be a misconception. In an experiment, the willpower-depleted group showed higher overall success rates. If so, it seems that willpower can be trained to stay focused. When trying to overcome distractions, the biggest obstacle is that we (or our “silly monkey” part) don’t always understand the relationship between the now-me and the future me. No wonder that the now-me just leaves harder tasks for another guy, future-me. The problem is that we tend to consider “later” an ideal place. Where everything is perfect, and there’s no gap between what we want and what we actually do to get it. James Altucher points out that this gap is all of our excuses. I’ll do it later, I’m tired now, I’m not good enough anyway – just put on paper what prevents you from achieving anything you really want. Each excuse helps you learn about yourself, and that is why they are the roadmap that takes you from “here” to “there”. Develop a planning habit. Create a list of to-dos for a day, a week or any other period. The more details, the better. Break down each task into small subtasks. This way, they don’t look that hard to accomplish, and seeing even the smallest progress will encourage you to do more. Track how much time you spend on what you do. Use a time-tracking software to record your time against your tasks – and probably see how surprisingly long it takes to get simple routine things done. Understand the relation between “now” and “later”. Outmaneuver your weaknesses by understanding that today’s decisions will affect the future you. So, make the future you deal with your today’s healthy and right choices, not allowing it to sabotage your efforts. Look at your excuses and see what prevents you from being more successful. Every time you get distracted, ask yourself: why am I watching this video? Why am I checking my email again? What happens if I read those Facebook comments later? The answers will help you understand what gets in the way when you try to resist distractions. The most important thing to remember is that there is no magic that can help you quit distractions. However, understanding their reasons helps a lot. Take small but consistent steps to develop self-control, train willpower, and adopt focusing habits. Guest Author: Arina is a Marketing Manager for actiTIME, software helping thousands of companies track time and manage projects efficiently. She is passionate about providing tips and practical advice on productivity and time management.